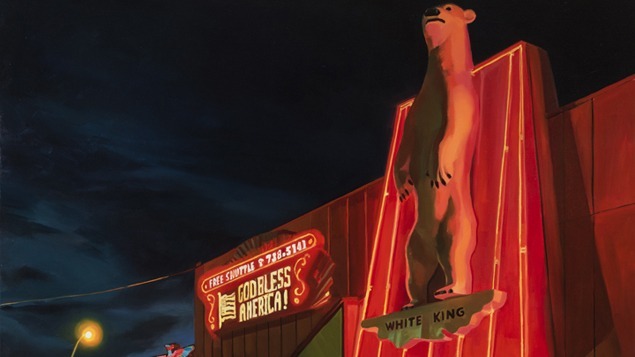 Accomplished painter Patricia Chidlaw finds her inspiration in neon-era motels, junkyards, Laundromats, train stations, parking lots, movie palace marquees, empty coffee shops, and void spaces, where content sneaks in via side doors and implies dormant life forces. This exhibition features twenty paintings from the 1990s up to the present, representing her extraordinary skill in depicting urban landscapes with characteristic pictorial grace. A richly illustrated catalogue will accompany the exhibition.